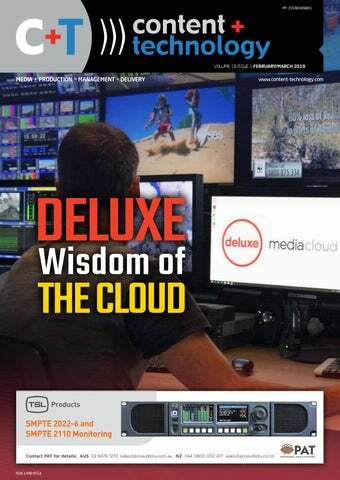 Straight from the pages of C+T magazine, Content-Technology.Com is where you’ll find info on the latest solutions for media creation, management and delivery from developers big and small and exhibitions such as NAB, IBC, SMPTE, BroadcastAsia and more. 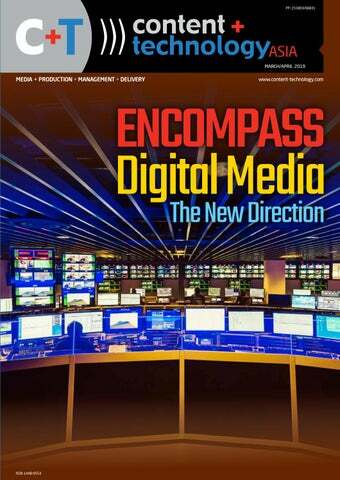 For over 13 years, Content+Technology magazine has been serving content production and delivery professionals throughout Australia, New Zealand, Southeast Asia and beyond. In 2012, to better serve those readers, we established two separate editions – Asia and Australia/New Zealand. C+T has always had a broad regional focus because we acknowledged the interconnected nature of the Asia Pacific not only in terms of technology dissemination, but also in project collaboration and, above all, in the flow of knowledge and people. C+T Asia is printed and mailed out of Singapore, while C+T ANZ is produced and mailed from Sydney. Both are distributed free of charge to qualified industry professionals throughout the region. While the C+T Home Page blog is dedicated to the two print editions of our magazine, our entire web site is made up of linked, autonomous blogs, covering either a particular technology category or industry news by geographic territory. You can find links to them at the bottom of this page. This “blog farm” powers our weekly C+Tmail eNewsletter. Sign up here. For Editorial Enquiries, contact Phil Sandberg via papers@broadcastpapers.com or +61414671811. For Advertising Bookings in print (ANZ or Asia editions) or online, contact Adam Buick via adam@broadcastpapers.com or +61(0)413007144.